Cayce accepted psychic experiences and ESP as a natural by-product of soul growth. God may speak to us through dreams (many readings consist of dream interpretation), or through intuitions similar to the pangs of conscience. However, Cayce did not endorse Spiritualism or mediumship on the grounds that supposed entities thus contacted are not necessarily particularly lofty. Instead, he encouraged seekers to focus on Christ. Cayce accepted psychic experiences and ESP as a natural by-product of soul growth. God may speak to us through dreams (many readings consist of dream interpretation), or through intuitions similar to the pangs of conscience. However, Cayce does not endorse Spiritualism or mediumship on the grounds that entities thus contacted are not necessarily particularly lofty. Instead, he encourages seekers to focus on Christ. 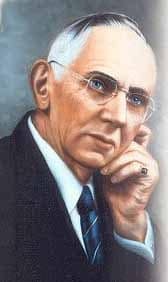 The story of Edgar Cayce‘s life is filled with examples of what this extra sense of communication is like. His ability to give readings in the sleep state could be labeled ESP because he somehow knew information that he had never studied, and he could see people and places and events without using his physical sight. While asleep, he could answer questions on any topic or he could give descriptions of the individual and his or her surroundings, even though Cayce was in Virginia Beach and the person receiving the reading might be in New York City. Because there are so many different types of extrasensory communication, researchers have broken down the term ESP into further categories to help explain what is taking place. Telepathy is the ability to obtain information psychically by reading the mind of another person. For example, while Cayce was in Kentucky, he gave a reading for a man in New York (740-1). He saw the man smoking a cigar, heard him whistling a particular song, saw him meet with another man about a piece of property, and saw him look over three letters. Finally, the sleeping Cayce heard the man telephone another gentleman and knew the gentleman’s name. All of these events were later verified. Cayce was able to see with this extra sense everything the man in New York had experienced firsthand with his normal senses. In our own lives, one example of telepathy is when we suddenly start thinking about someone we haven’t heard from in a long time and a short while later the phone rings and that person is on the line. Another category of ESP is clairvoyance, the ability to “see” information that no one else has. For example, suppose you shuffled a deck of cards and placed them face down, then went through the deck and tried to name each card (or at least to tell its color). If your percentage of correct guesses was far beyond what would be expected by random chance, it would be an example of clairvoyance. You would not need to be 100 percent accurate to demonstrate clairvoyance, just statistically (and consistently) greater than random chance. On the other hand, if you tried the same experiment but had a friend look at each card and concentrate on it before you guessed, this would be an example of telepathy. Looking at one instance from the Cayce readings (2826-1), we find the case of a person who was in Ohio while Cayce was in Virginia Beach. During the reading, Cayce correctly gave the person’s body temperature. Now, if the attending doctor in Ohio had known the patient’s temperature before Cayce’s reading was given, then this would be an example of telepathy, since Cayce could have read the doctor’s mind. But if the doctor hadn’t known the temperature until after Cayce’s psychic reading, it would be an example of clairvoyance. A third category of ESP is precognition. Although some have called Cayce a “prophet,” he himself made no such claims. He rarely made any predictions about worldwide events, mostly because these predictions are subject to countless outside influences. The fourth major category of ESP shown in the Cayce readings is retro-cognition, the ability to see past events. For example, in the life readings (those readings which dealt with the soul) Cayce would often repeat aloud significant happenings in a person’s life while going back over the years until the date of the person’s birth. In one reading, he said, “1935-’32-disturbing periods-’31-’36-’26-not any too peaceful!” etc. (1650-1). In another life reading (1462-1), Cayce was given the incorrect date and location of birth for a young girl. In going back over the years he responded with, “We don’t find it here”. (He had been incorrectly told that the child was born on January 24, 1919 in Cleveland, Ohio). Then, after a short pause, he finally said, “Yes, we have the record here (looks like it’s the wrong place and date).” It was later discovered that the girl had been born on January 23 (a day earlier) in New York City and not in Cleveland. Because “psychic is of the soul,” the Cayce information suggests that it is relatively easy to induce personal psychic experiences. However, the phenomenon that manifests itself through psychic channels can oftentimes get us off the track. The readings suggest that instead of seeking psychic experiences for the sake of having them, we should seek only those within the context of spiritual growth, of learning about ourselves, or of being of service to others. have the tendency to make psychic experiences seem unusual, out of the ordinary, special, somehow set apart, or perhaps even frightening. However in the Cayce approach, psychic information is as natural as an “intuition” or a “hunch.” In addition, just because something is “psychic” does not mean it’s 100 percent accurate. We may wish to work with psychic information to the same degree that we would listen to the advice of a trusted friend: it can be utilized as an additional tool for gathering insights and for making decisions – it shouldn’t necessarily be given any more credence than information from any of our other friends (or senses); however, it shouldn’t be given any less either. In time, individuals may work with their own intuition in such a way that it becomes as natural as using any of their other senses: taste, smell, touch, hearing, or sight. Do Scientists Fear the Paranormal?